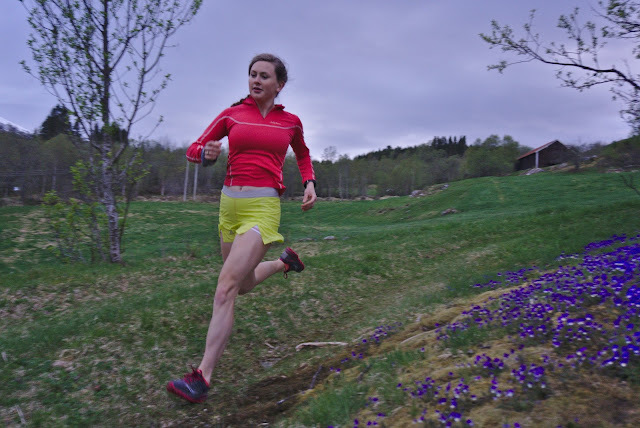 My name is Molly, and I'm a 28 year old runner, cyclist, skier and all around endorphin and mountain junky. I'm a dual American-Norwegian citizen living in Norway, and in my real life I work in product development for a small electronics company. But this blog isn't about my real life. It's about my adventures, both big and small, because I think every day should be an adventure. I've been chronicling my adventures here since 2012, but these days it's increasingly about my journey as a runner, on the roads and the trails, long and short distances. If you're new to this blog, try checking out the race and adventure pages to find some good reading. Follow me on Strava or on Instagram to see what else I'm up to! What is a Wild Bazilchuk? The Wild Bazilchuk is a rare creature with inordinately strong thighs, usually 168 - 172 cms in height. Generally dirty, possibly wearing purple. Found in cold climates (especially wherever there's powder). Difficult to spot due to an inability to sit still for more that the amount of time it takes to eat a piece of cake. Wow, the original Wild bazilchuk is honored! Be wild!